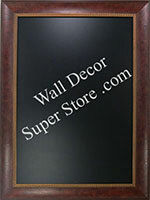 BB1403-1 Can be made as a Cork Board, White Board, Chalkboard, Combination Board Or Wrapped With Fabric. Make in any custom size up to 48" x 96". Any combination of chalk, cork, dry erase, fabric, french bulletin board, or mirror. 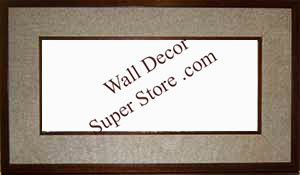 This value price frame is available in (9) colors. This customer liked the 3 part combination board, but wanted the center section to be larger. You may request any special modification to the standard 5 formats. 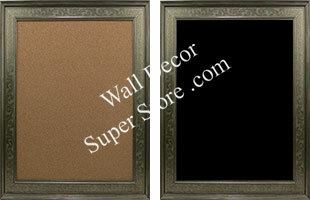 Style BB1412-3 Can be made as a Cork Board, White Board, Chalkboard, Combination Board Or Wrapped With Fabric. 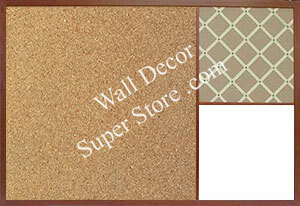 BB1669-1 Can be made as a Cork Board, White Board, Chalkboard, Combination Board Or Wrapped With Fabric. 6 panel combination board - magnetic white dry erase and FW800 fabric. 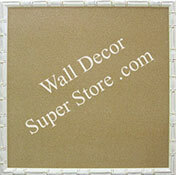 Style BB1678-2 Can be made as a Cork Board, White Board, Chalkboard, Combination Board Or Wrapped With Fabric. 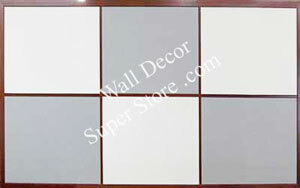 BB1606-1 Can be made as a Cork Board, White Board, Chalkboard, Combination Board Or Wrapped With Fabric. The outside is wrapped with fabric and the inside is magnetic white dry erase. Our Hook and Loop Fabric is Compatible with Velcro. Stainless Steel Look - Mica Finish Traditional Combination Board Format 2/3 x 1/3 Layout. Any combination of cork, chalk, dry erase, fabric, French ribbon, or mirror. Bamboo frame in walnut color with corkboard. Cork, chalk, dry erase, fabric, French ribbon, or mirror.